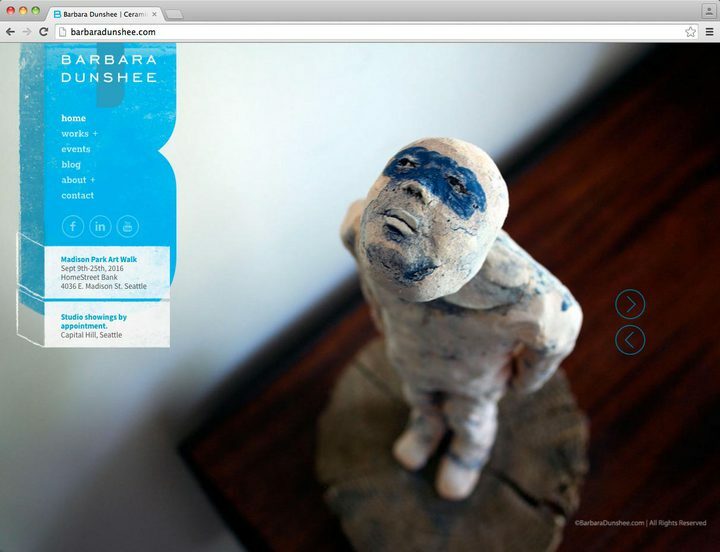 Objective: showcase remarkable work by ceramic artist Barbara Dunshee and provide a platform for announcements and blog posts. Designing for a fellow designer presents a special challenge. KittenChop’s unique style and energy is part of her story, so it was important to collaborate closely to find the “sweet spot” that reflected her best. Using her work almost entirely ensured that a strong sense of ownership in the process was constant. The result is a site that’s as unique as her work, but without standing in the way of accessibility. PT provided project management, design, development, and a wee bit of animation. For an authentic feel P.T. leveraged custom letterforms by the artist to construct the look. An uppercase ‘D’ serves as a subtle background and stand-in for the lowercase ‘d’. The logo evokes her distinct style and signified her variable range. 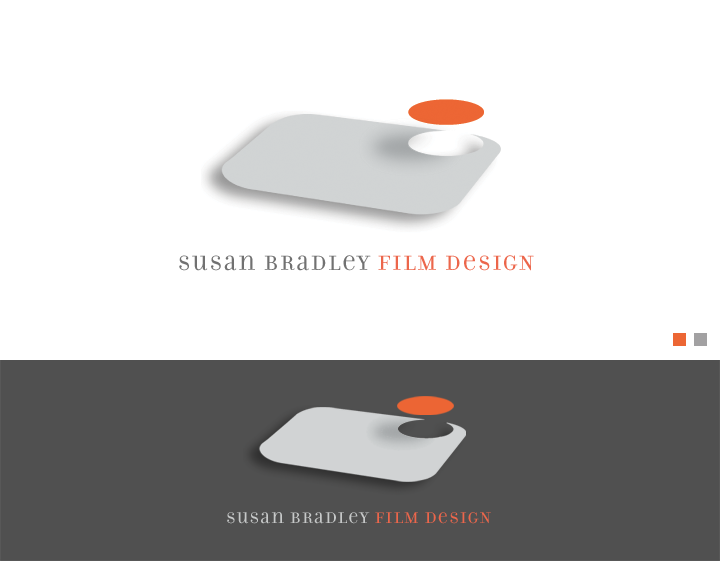 This logo design successfully satisfied 3 main criteria for this independent title designer: exude a modern but timeless look, show relation to the sequence of film production (represented by the cell), and represent the relevance of post production title design for film, a critical finishing touch in the process. 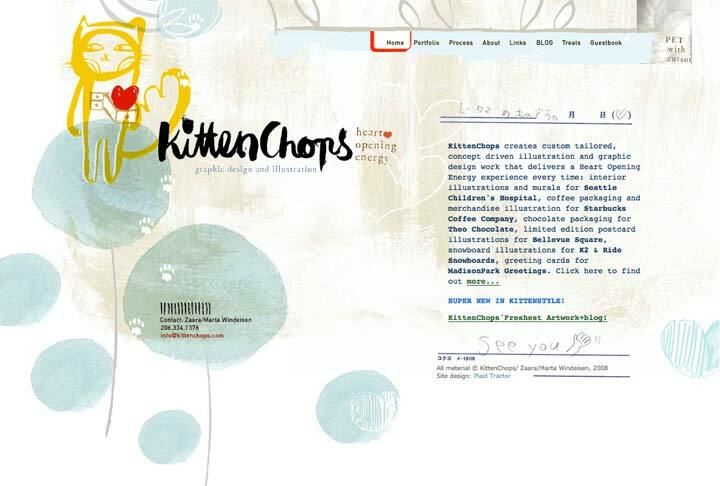 Reflects the unique and original character of Kittenchops Illustration in a business card – designed for “keepsake” quality. 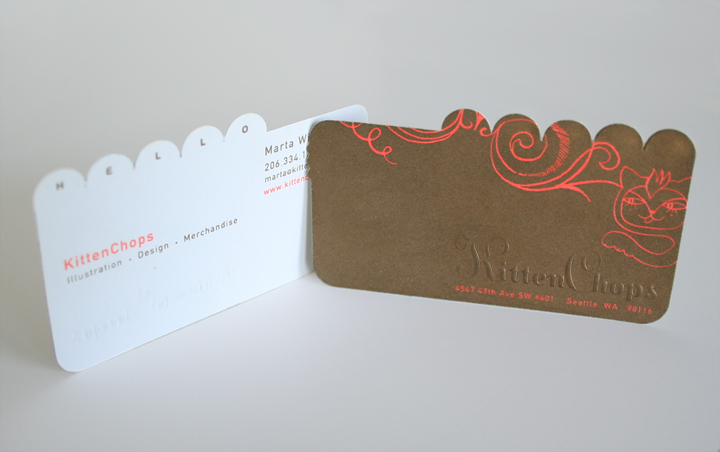 The card features a custom die cut, blind emboss, and metallic ink flood on the front side. Barbara Dunshee is a truly remarkable potter, teacher and ceramic artist. 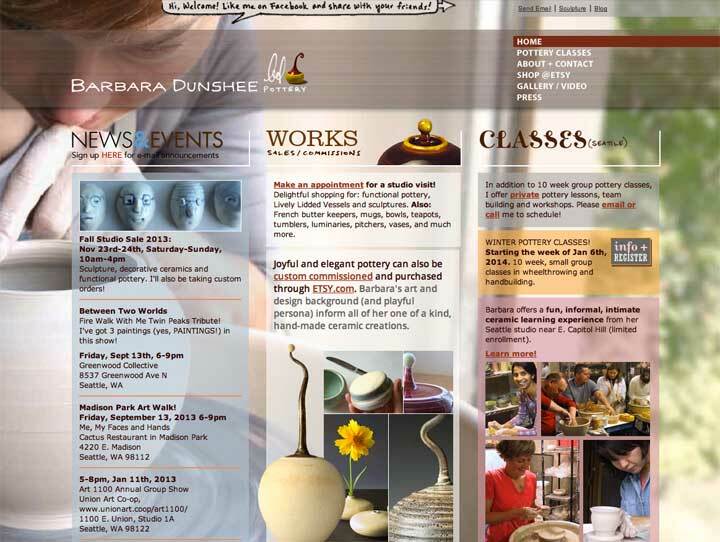 Her site was designed to be a simple, fun and approachable means for promoting her events and pottery classes. Countless satisfied students have experienced her spirited presence as an artist and teacher, and directly attribute her web presence to discovering her. 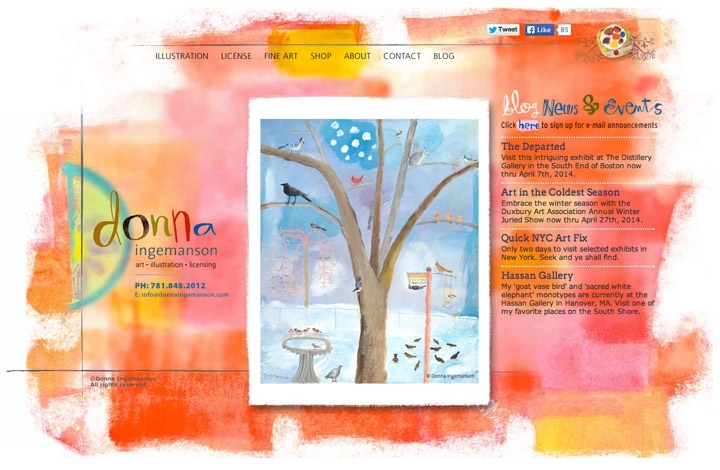 Donna is a prolific veteran Massachusetts illustrator. 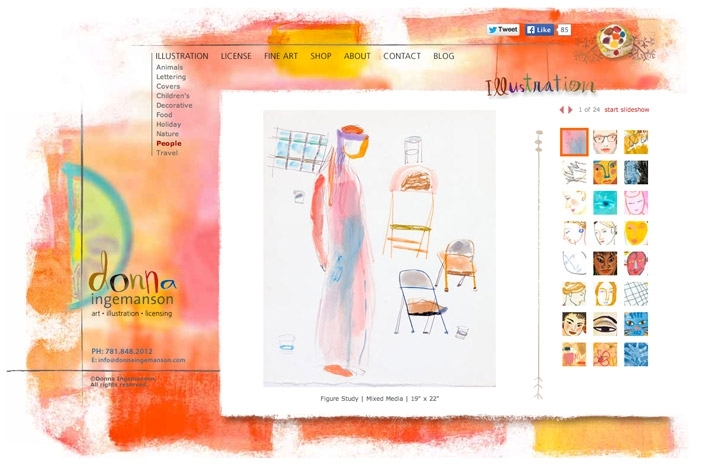 She approached PT to develop a unique website to present her extensive collection of vibrant, texture intense works. 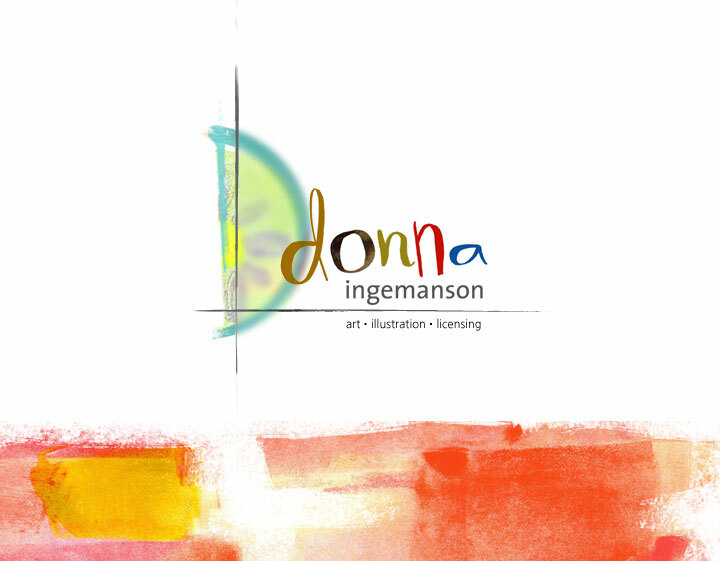 It became apparent that the best approach was to be the interpreter while Donna provided authorship of visual elements. PT provided a platform to boldly showcase her strengths and provide information to prospective clients.